Andreas Raspotnik, in his new book “The European Union and the Geopolitics of the Arctic”, critically scrutinizes the decade-long history of successes, failures and attempts of the European Union in constructing its own legitimacy and credibility in the multi-layered geopolitics of its “northern neighborhood”, the Arctic. In doing so, the author attempts to define this “unknown” but yet a “component of the Arctic geopolitics”, that is to say the EU, and to provides his own response to the long-standing matter of which role the EU has to play in the region. 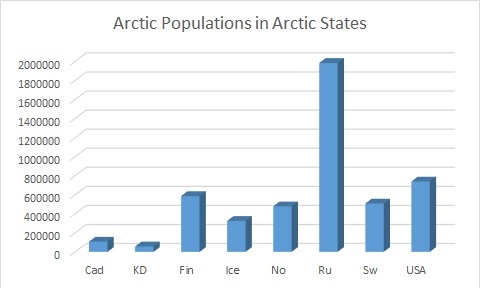 One immediate question that arises in the mind of those who are more familiar with EU’s studies, especially with regards to the Arctic, is not if the EU has an influence in the Arctic region, but whether the EU holds the actual capacity to act as an international actor in the given geopolitical context. Regardless of EU’s formal acceptance as an observer to the Arctic Council – now a symbolic token, as the EU can de facto observe, taken by too many as the ultimate proof of EU’s extraneousness to the region – this politico-economic Union of 28 Member States has shown clearly over the years both its negative and positive influence, yet influence nonetheless; though the question remains in which capacity. Raspotnik raises this question in his introduction, and skillfully adds another layer to this already complex picture, by using his study to “question [EU’s] broader role as an international actor with evolving geopolitical identity”. 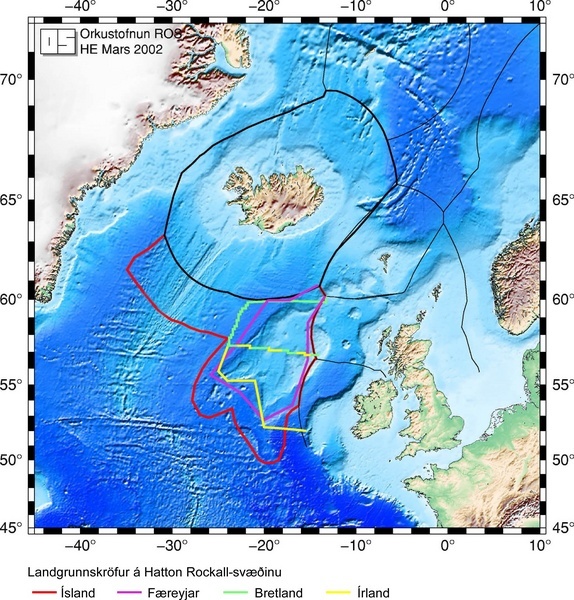 The study won’t provide the reader with a clean-cut answer, as the very last sentence of the book suggests – “[u]ltimately, the European Union attempts to act as sui generis geopolitical actor in the Arctic” – but it is a classic example of research where the journey itself is more relevant than the destination. The main text of the book is structured in 5 parts which, excluding “Introduction” and “Conclusions”, compose the title of the book: II) Geopolitics, III) The Arctic, and IV) The European Union. This structure underlines the choice and need of the author for excavating and critically analyzing each of these concepts before providing – in an almost Hegelian fashion – a final synthesis. This book is indeed very well researched, and combines a vast literature of classic “Arctic Geopolitics” scholars, interviews, official documents and speeches given by EU representatives. Under several aspects – e.g. the use of explanatory “boxes” within the text and the careful contextualization of each new term used – this book could be positively marked as a textbook for students in geopolitics or European studies or a vade mecum for scholars, without ever providing a superficial account of the issue it addresses. Raspotnik’s sets the start of his journey in 2007/2008, when high-level representatives of the EU and its member states – J.M. Barroso (former president of the EU Commission), Angela Merkel and Romano Prodi – all visited in different moments the new “Mecca of climate change”, Greenland, to experience first-hand the ice-cap melting. 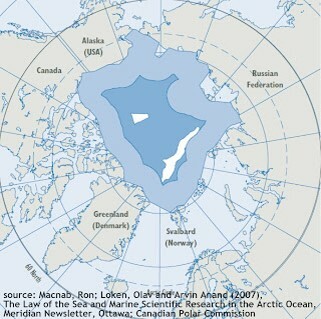 The Arctic was, in the meanwhile, experiencing a new moment in the global media, with the Russian flag being planted more than 4000 m beneath the North Pole, or the new record low in the Arctic Ocean’s sea-ice extent in September 2007. In addition, climate change – which will quickly turn into one of the strongest leitmotifs of the European Union’s narrative in the Arctic – was also having a new impetus in the same years and made it to the top of the G8 Summit agenda in Bad Doberan/Heiligendamm (Germany). Therefore, climate change, (potential) availability of resources, environmental and social challenges turned into a potential security issue for the EU, which, with the strong encouragement of Finland, added the Arctic to its “neighborhood’s radar”. In 2008, the EU formally started developing its own Arctic Policy. This process took about 10 years, many documents and speeches, and for many observers it is not even yet fully finalized. The chapter dealing with this “policy-in-the-making” process is actually one of the highlights of this book. An overview that too easily risks turning into a repetitive and pedantic mantra – given the nature itself of the EU’s structure where documents/proposal need to bounce among the EU Parliament, the Commission and the Council (and repeat this itinerary several times) – was given new life. The author alternates the description of each step taken toward the development of an EU Arctic Policy with an “external reading”, combining in this way facts with his analyses. The formal analysis used in the book, while accomplishing the need for providing a deep understanding of the EU’s role in the Arctic, runs into the same negative underestimation made by the EU regarding the role of indigenous people in the Arctic geopolitics. Reading this book, likewise most of the narrative and approaches used by the EU itself, the feeling is that the indigenous peoples of the Arctic appear more as a cameo – or a political/formal duty to be discussed – rather than part of Arctic geopolitics. In the description of the Arctic’s layered geopolitics, for example, a good overview is provided with regards to the “issue of eight national identifies”, but no mention at all is given regarding Indigenous peoples’ visions for their own territories. 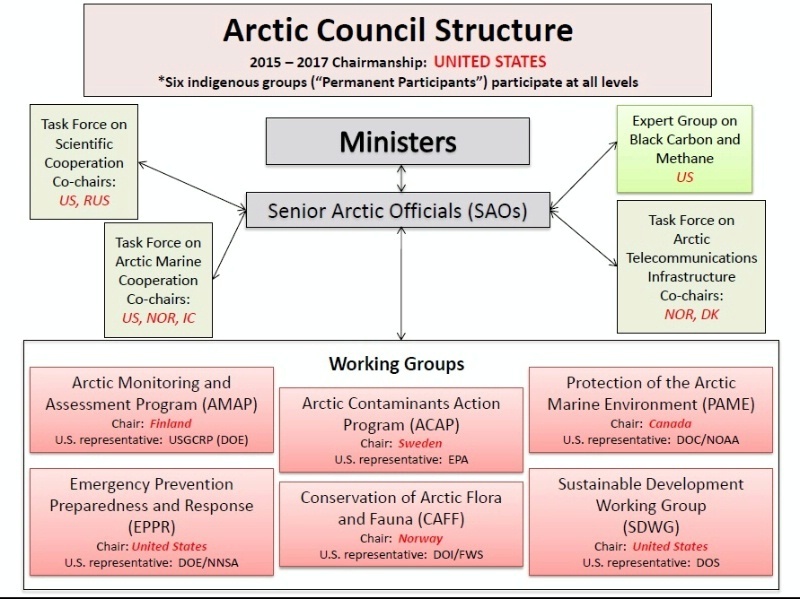 The role of Indigenous Peoples Organizations (IPOs) within the Arctic Council is only formally addressed and therefore minimized (“although the AC includes IPOs, decision making formally remains with its core members, the A8”), and the “seal-issue”, which ultimately costed the EU its formal acceptance as observer at the Arctic Council from 2009 to 2015 (then the Crimean crisis came into play) is dealt as a largely solved political issue, which formally and politically it is, but not in practice, at least for some of the indigenous peoples of the Arctic.